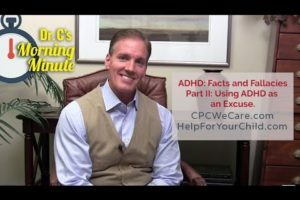 We, as parents and professionals, need to make sure that we have a good base line understanding of what our kids are capable of before the ADHD gets in the way. Hold them to that, pushing the envelope a little bit to increase their level of independence. Learn more by watching today’s Morning Minute. Please feel free to ask your questions or comment below.